Champ EHR Software makes all relevant public health information accessible from a single source. All authorized public health officials can instantly see up-to-date, accurate information on individual clients, families, or the entire region. Because critical information is no longer buried in paper files or on individual hard drives, health care professionals like you can work more efficiently, and avoid duplicated efforts, to deliver better care. Champ Software allows public health agencies like yours to configure the system to meet your specific requirements. 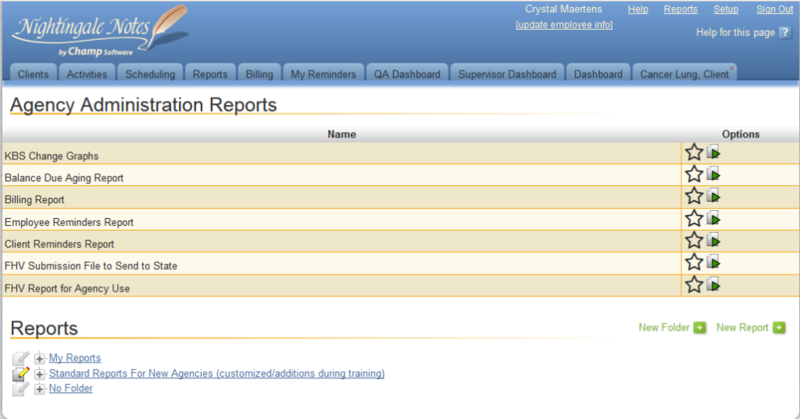 Pathways, reports, and input screens can be adjusted to support each agencies’ particular processes and policies. The built-in flexibility of Nightingale Notes EHR software means that the system fits your agency, not the other way around. Green tabs in the image to the right have been created by the agency. 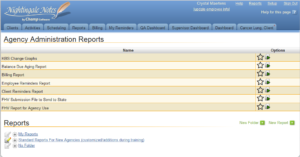 Champ Software makes it easy for your public health agency to generate insightful reports on the extent and quality of service in the community. Standardized Omaha system terminology built into Nightingale Notes EHR allows you to measure the impact of your activities on community health. More accurate reporting and analysis allows public health administrators to make adjustments to programs and more efficiently deliver quality care. Provided by the agency are available. Champ Software can be integrated with outside systems to connect a community or county public health agency to a statewide system or third-party billing system. Our integration with Availity Clearinghouse and Teletask auto-messaging system for automated reminders has helped make our client’s lives easier and their jobs more efficient. Critical information on immunizations and other programs can be shared electronically, ensuring more accuracy and efficiency. Learn more about how we integrate with our partners. 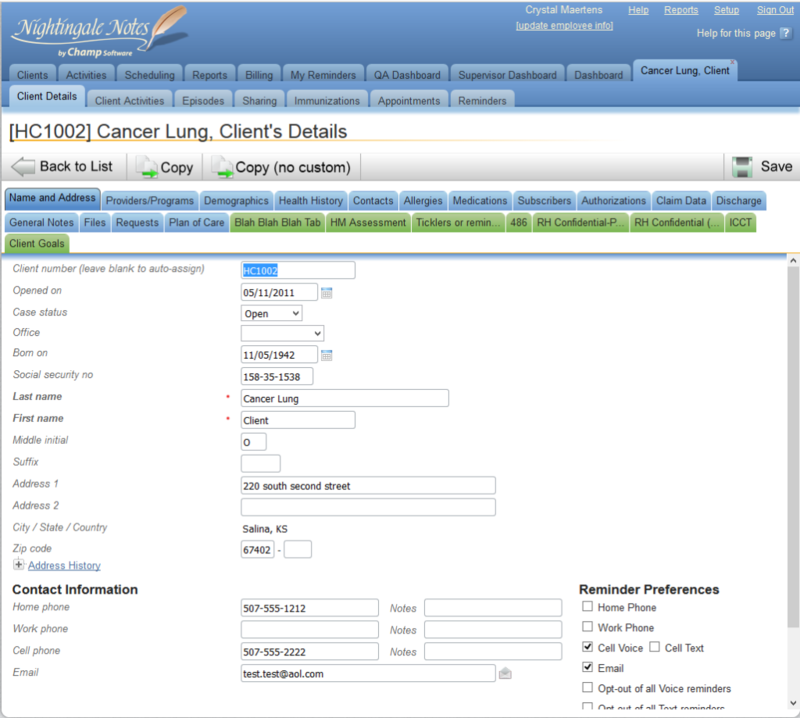 Champ Software’s Nightingale Notes EHR software is designed to grow as the needs of your public health agency expand. While Nightingale Notes EHR software may be initially implemented to support one particular program, for example Maternal and Infant Health Services or Reproductive Health Services, Champ Software can provide EHR support for the full range of services that the agency opts to automate in the future. There is no need for your public health agency to purchase, implement and learn a separate system as your needs and services expand. 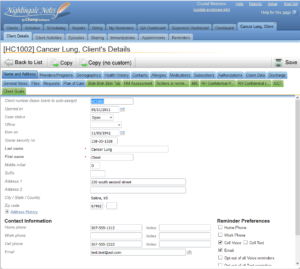 Champ Software’s Nightingale Notes EHR software is supported by expert guidance including training, implementation, and on-going support. It includes an implementation coordinator to support your transition process, and guidance from professionals that have first-hand experience in the public health field. Relying on Champ Software’s expertise, your public health agency can make a smooth transition from your existing system to Nightingale Notes EHR software, to derive maximum value from your investment in an electronic health record solution. You are not left on your own to navigate the process. Champ Software’s Nightingale Notes EHR software provides public health agencies like yours access to the best practices of peers in other agencies. Through the knowledge base built into the system, public health departments like yours can share insights and experiences. With appropriate permissions, your can share templates for pathways and reports, leveraging the wisdom of your colleagues.